ECCIE.CH is a fraud. It’s not the real ECCIE! 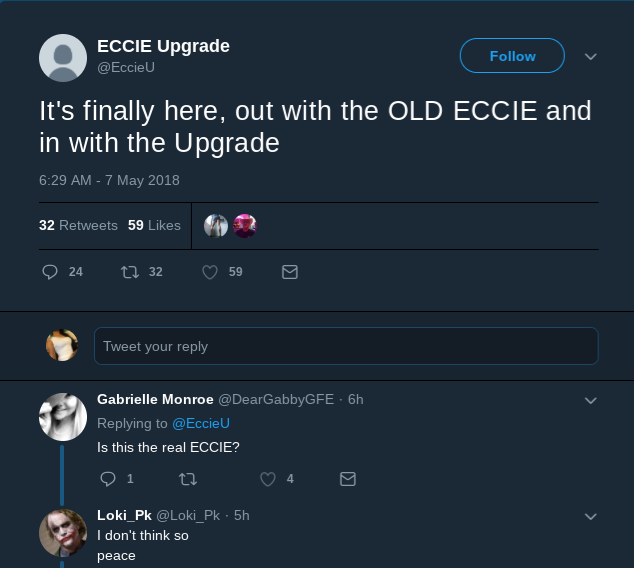 The real ECCIE is coming back, apparently, but eccie.ch is a fraud. Feel free to read more about pseudo-ECCIE below, but please do not register for this website. Who knows who’s really behind it. Some randoms took over the ECCIE name and slapped it with a .ch domain to profit off the original ECCIE brand. Which translates to: eccie.ch. Pseudo-ECCIE also has a Twitter. I use Night Time mode. I’m going to watch this how this all plays out from a distance. Why ECCIE though? As one user mentioned, why not get your own superior name? (along with their own brand). Who knows. Don’t sign up though. 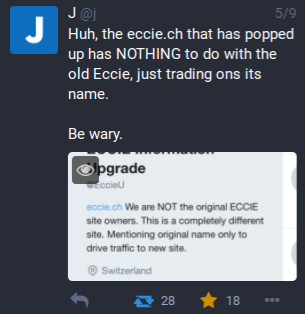 pseudo-ECCIE is allegedly owned by a hobbyist wannabe Swiss citizen. Personally, I’m aware of the original owners of ECCIE still not saying anything about this, but if they have, then let me know. Please don’t sign up for pseudo-ECCIE! Those who already have were complaining about issues with signing in and such.